We were walking to the tennis courts last week. 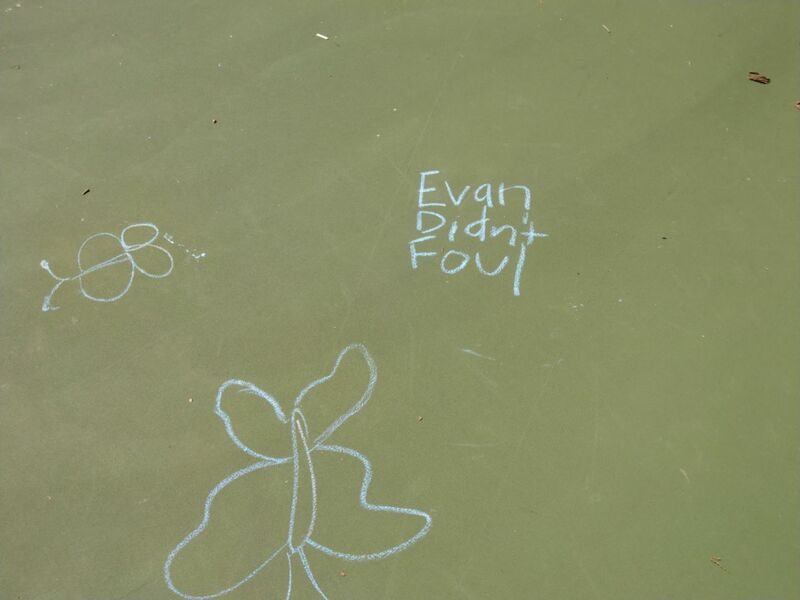 These particular courts are part of an elementary school. Beside the courts there's a half-sized basketball court, and four half-sized boys were playing. One boy caught a pass, then walked at least three steps before shooting. "That's traveling!" said one boy. "Evan pushed me!" said the traveler. "He pushed me REALLY hard. He totally pushed me! That's a foul!" "Even totally didn't push him," I whispered to Eli 16.10 as we walked past. "Evan wasn't even close," Eli said. 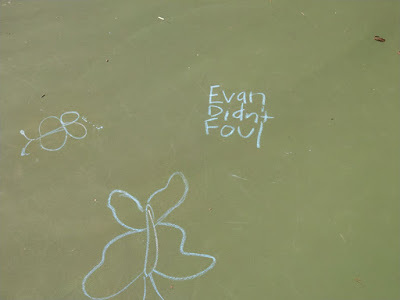 We started playing, and I saw a piece of blue chalk behind the baseline, with art all around. I stopped and started writing. "What are you doing?" Eli asked. Eli started laughing. "Why did you do that?" "On the small chance that one of those boys will walk past and see it," I said. "They would be amazed."